Note: We have very limited overstocks of our crowd-funded limited edition. Now is your chance to own a limited, numbered edition with exclusive slip case and five gorgeous postcard prints. Strictly first come, first served. These won't be available in the shops! It's monster a-go-go up at the castle when Baron Frankenstein and his laboratory assistant, Dr. Charles Marshall, stitch together a creature using body parts supplied by shifty local grave robbers. When they rashly insert a killer's damaged brain into the monstrosity's skull and bring it to life, it crushes the Baron to death and goes on the rampage. 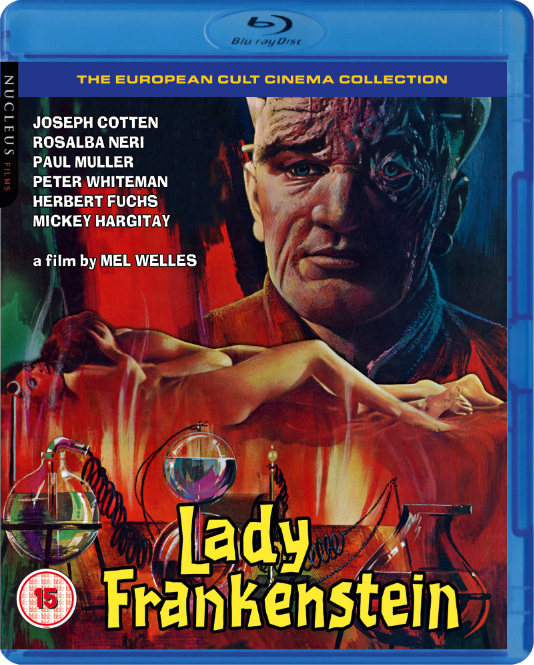 Tania, Frankenstein's glamorous daughter, teams up with Charles to continue her father's crackpot experiments. The two fall in love and transplant the aging lab assistant's cerebrum into the body of a hunky servant. Meanwhile, the first monster stalks the countryside, seeking bloody revenge on the bodysnatchers who exhumed the raw materials for its miscreation. It eventually goes after Charles and Tania, but will its brute strength triumph against the seductive wiles of lusty Lady Frankenstein? Directed by Mel Welles, this twisted gothic tale stars Rosalba Neri (THE DEVIL'S WEDDING NIGHT) as the surgeon whose strange desires could only be satisfied by the monster she made. 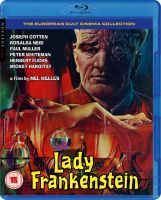 The legendary Joseph Cotten carries on the curse of Frankenstein as the obsessed Baron, and the cast is fleshed out by Euro-cult regulars Paul Muller (NIGHTMARE CASTLE) and Mickey Hargitay (BLOODY PIT OF HORROR). 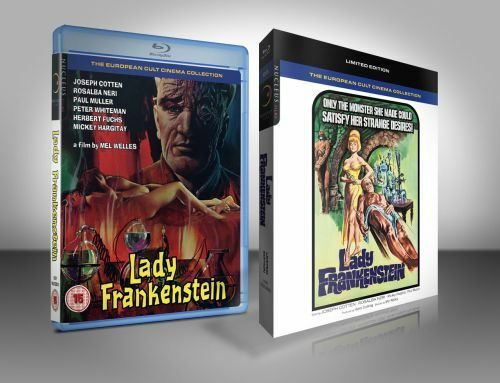 See LADY FRANKENSTEIN like never before, stunningly resurrected from the original negatives in a brand new 2K restoration. We are very proud to present the complete and restored director's cut, plus the American theatrical versions packed with bonus special features! Joseph Cotten, Rosalba Neri, Paul Muller, Peter Whiteman, Herbert Fux, Mickey Hargitay, Renata Cash, Lawrence Tilden, Ada Pomeroy, Andrew Ray, Johnny Loffrey, Richard Beardley, Peter Martinov, Adam Welles.